The difficulties and weakness in the current dry bulk market are well known to all, and hopefully we are starting to see signs of a recovery in 2018. 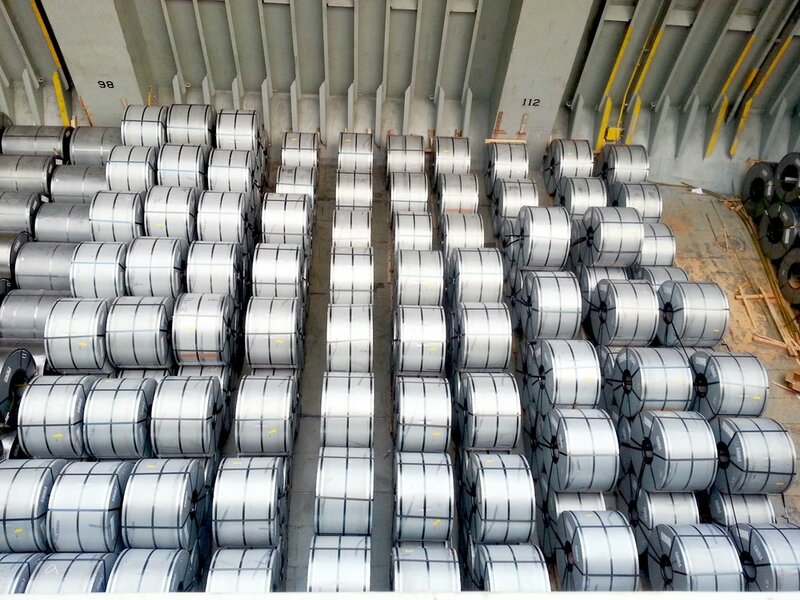 There are already increasing demands for multi-purpose cargo, containerized cargoes, special oversized and heavy-lift cargoes, and for steel coil transport. Many bulk carriers as designed and delivered are not suitable for these types of cargos. Most bulk carriers are not considered suitable for deckload stowage, and often have missing or inflexible approved stowage procedures for coils, containers, or other special non-bulk cargo in the cargo holds. Taking advantage of spot contracts for these special cargos can help keep bulk carriers occupied during these difficult times. Often very minor, and often no physical conversions are required to significantly enhance the cargo carrying potential for bulk carriers. Existing non-deckload bulkers can be re-certified for deckloads by a relatively modest evaluation of the hatch cover and deck strength, bridge visibility requirements, stability reassessments, followed by a revision to the ship’s Stability & Damage Stability Booklets, Cargo Securing Manual (CSM), and Loading Program. Inflexible approved steel coil loading arrangements (often unavailable or limited to a single size and weight of coil) can be easily expanded to cover a full range of possible coil diameters, lengths, and weights to maximize cargo carrying capacity. Often a re-assessment based on the current, more liberal, version of the IACS-CSR structural rules for Bulk Carriers will lead to increased coil and innerbottom loading weights compared to the Class approval at the time of the ship’s delivery. The ship’s CSM can be expanded to include these new deckload and coil stowage arrangements, as well as including more flexible arrangements lashing and securing special cargos, like wind turbine components, rail cars, etc. Hatch covers have a significant strength based on the class rules for uniform loading. That will provide sufficient strength for carrying some containers on the cover, usually limited to about 25 mt per TEU, which is good for one tier of heavy containers or two tiers of light containers. Container sockets can be aligned with existing hatch cover structure to minimize structural modifications. Main Deck structure outboard of the hatch covers is usually robust and thus strong enough to support container loads aligned with web frames with even higher stack weights than on the hatch covers. Herbert Engineering has experience in quickly developing and obtaining Class approval for specialized cargo loading and securing plans for a single voyage for any special odd sized, or heavy weight, special cargoes including the structural evaluation of load spreading, and sea fastening by welded clips and/or lashings. Herbert Engineering has many years of experience with container loading analyses of hatch covers and deck structure to maximize the allowable number of containers and stack weights. Herbert Engineering is also involved in other technical and regulatory assessments for bulk carriers, including ballast water treatment planning and engineering, and 2020 Sulfur Cap compliance and fuel system modifications. Please contact us at info@herbert.com for more information.